Home>New Mixtapes>Lil Xan Mixtapes> Lil Xan Releases New Mixtape "Heartbreak Soldiers Pt. 2"
Lil Xan is one of the most hated artists in the entire music industry. At first, the public's distaste for the young California rapper started because of his disrespect towards Tupac Shakur, saying that the legend had no clout in an interview. Then, people just started to dislike his music, which is fair enough. His creations are not for everybody. He makes music for a niche target audience that seems to love him, repping Xanarchy until the end of his days. Diego has been teasing his upcoming album Be Safe for a minute but he decided to drop a different project altogether, releasing Heartbreak Soldiers Pt. 2 as he cruises through Europe on tour. The 22-year-old is expecting his first child with his girlfriend Annie Smith, recently embracing a healthier lifestyle after a rehab stint. Xan released Heartbreak Soldiers Pt. 2 this week, containing ten songs with features from Lucifena and Yara. It's clear that Diego didn't spend too much time making this tape, announcing his location on several songs. At the beginning of "Lil HeartBreak," the rapper says he is recording in Cologne, Germany, which is literally where his tour stopped two days ago. With tributes to Tay K and his girlfriend Annie, Lil Xan's new project is available now. What do you think? 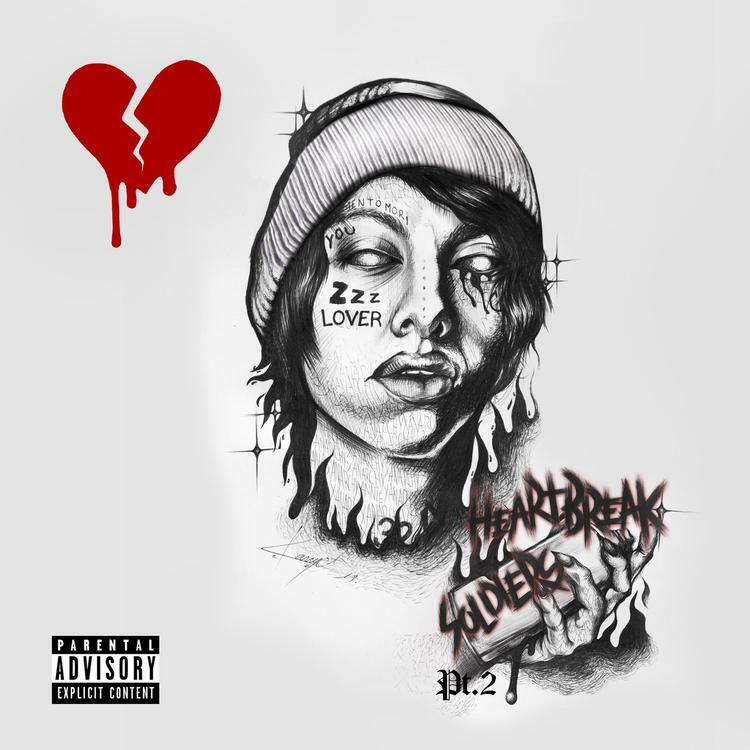 MIXTAPES Lil Xan Releases New Mixtape "Heartbreak Soldiers Pt. 2"